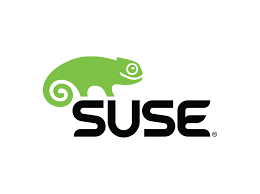 OrionVM and Linux pioneer SUSE enable channel partners to quickly gain cloud competencies that are easy to deploy and operate for large scale and mission critical computing. San Francisco, Calif., December 14, 2017 — OrionVM, an award-winning next-gen Infrastructure as a Service (IaaS) provider, announced today the continued growth of the OrionVM Wholesale Cloud Platform with the addition of technology partner SUSE, the world’s first provider of an Enterprise Linux Distribution. SUSE Linux Enterprise Server represents the first open source enterprise supported Linux operating system on the OrionVM platform. This collaboration opens new business opportunities for the channel partner community, especially for newly signed national distribution partners who demand enterprise support as a component of their cloud offerings. The partnership between OrionVM and SUSE enables companies to easily leverage an out-of-the-box cloud offering with enterprise support at a sustainable cost, giving service providers a competitive advantage and allowing them to focus on their core competencies. SUSE provides reliable, interoperable Linux, cloud infrastructure and storage solutions that give companies greater control and flexibility of their environment. SUSE offers software-defined infrastructure solutions that transform the traditional data center and help businesses achieve greater agility, stability, and reduced costs. SUSE’s best-in-class open source enterprise solutions are engineered to extend to the public cloud, helping accelerate innovation and drive digital transformation on a global scale. Their recently announced SUSE CaaS Platform is an enterprise class container management solution that enables IT and DevOps professionals to more easily deploy, manage, and scale container-based applications and services. As a result, enterprises can reduce application delivery cycle time and improve their business agility. allow clients to quickly launch their own enterprise-grade cloud offerings with absolutely zero CapEx. Partners have full control – from a complete white-label re-brand to billing integration and flexible account management. OrionVM’s wholesale business model combined with their groundbreaking cloud technology innovation represents a tremendous opportunity for MSPs, SIs, and VARs to instantly gain a competitive advantage when deploying a wide variety of cloud solutions.